Shakey’s Shaw-Kapitolyo blew whatever good experience I’ve had while on a dinner date with my wife. 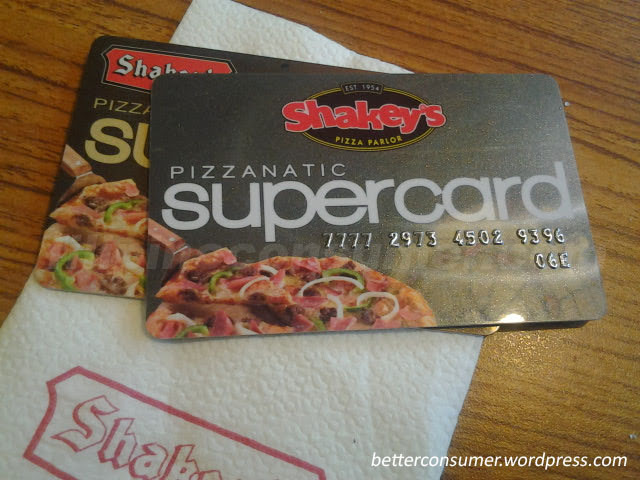 The management crew and staff withheld me from paying my bill just because my Shakey’s Pizzanatic SuperCard data shows that it was expired in “January 2014”. The loyalty card is supposed to give me 10% discount on most of their items on their menu and I even wrote about it after I renewed it just in December 2013! I called the manager’s attention and asked if such procedure was normal: the feeling that either: One, the customer is showing a bogus/fake card or Two, they will not honor my 10% discount because the expiration date of the card is January 2014 — either way, is not a good option and wrong. The manager apologized but couldn’t explain why they did what they did. It seems like the concept of ‘customer is always right’ took a nose dive that night. Shakey’s we love your new image but please do something about your customer service. I know you can do better than this: Customers are people not wallets.